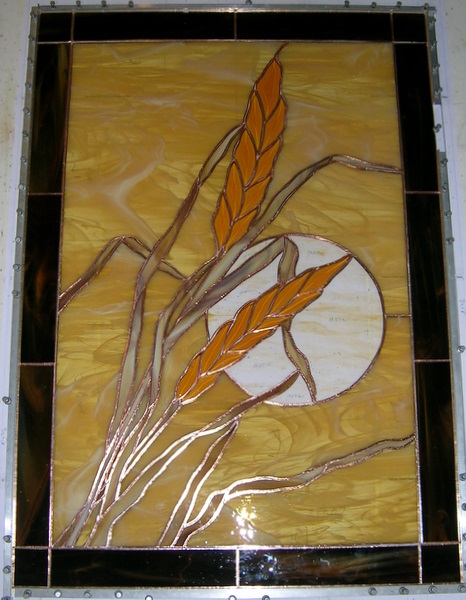 This is a beveled panel using GST colored wheat bevels. 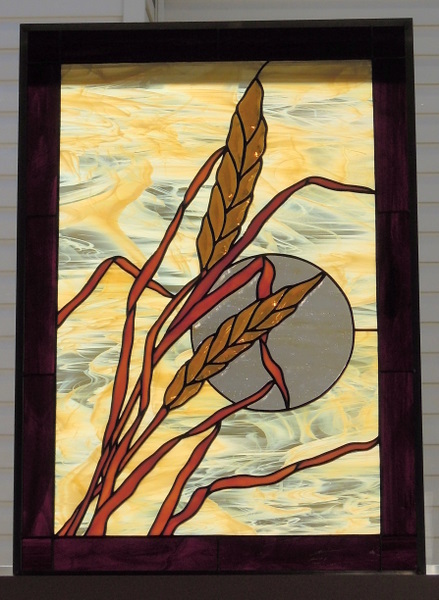 The panel measures approximately 23 inches by 33 inches. 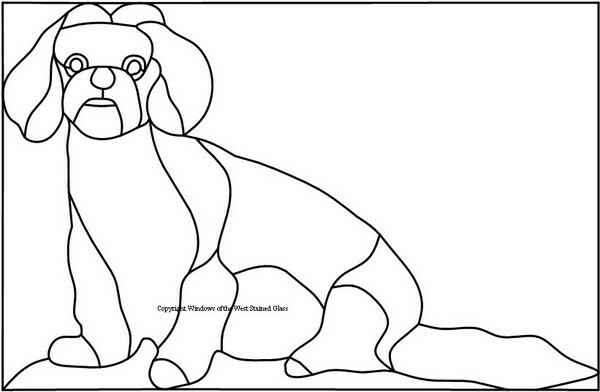 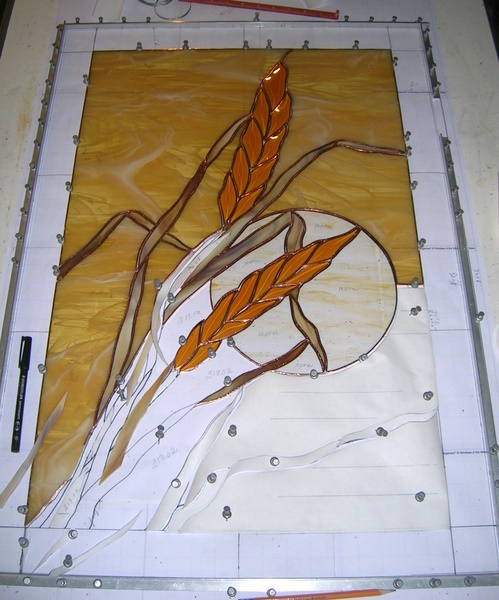 This panel is going to be mounted in a light box in a new kitchen renovation for a home in Central Alberta. 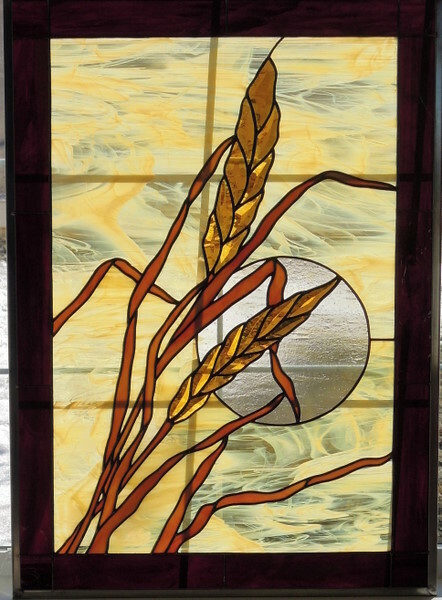 Finished Panel in our front window. 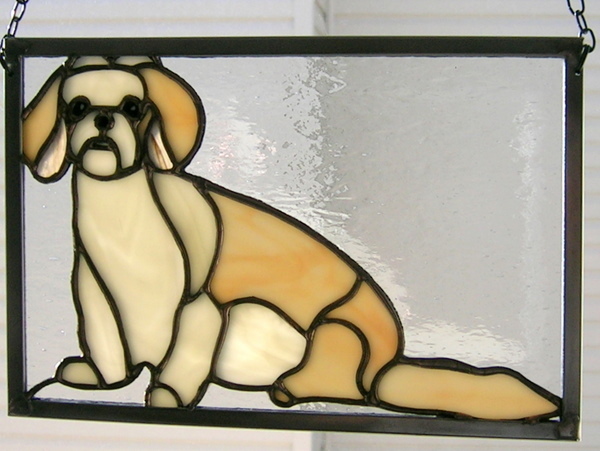 Our front window has bars between the glass which provide our home with a cottage look and feel but they show shadows on any glass we take pictures of in this south facing window. 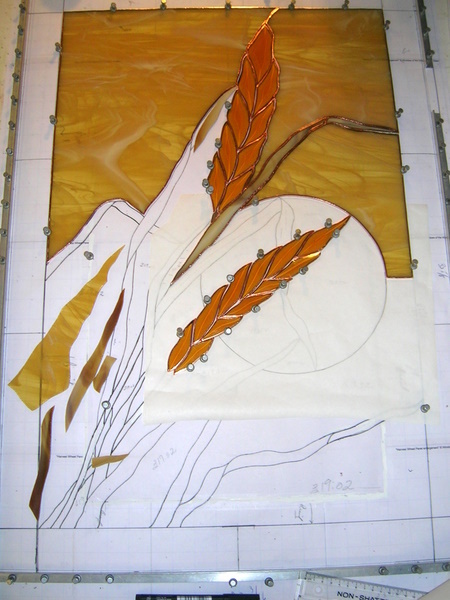 Here is the Harvest Wheat Panel all ready for soldering. 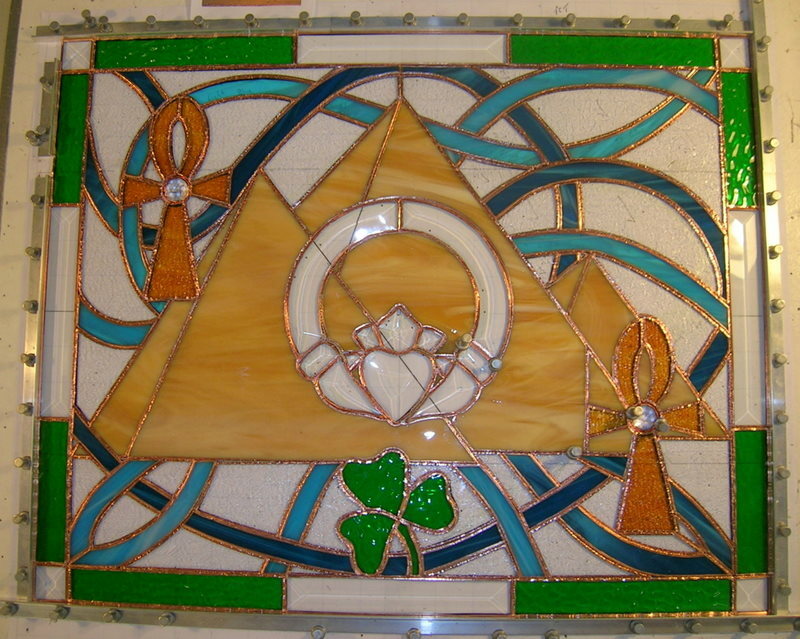 This is picture # 2 of the ongoing progress in building this panel. 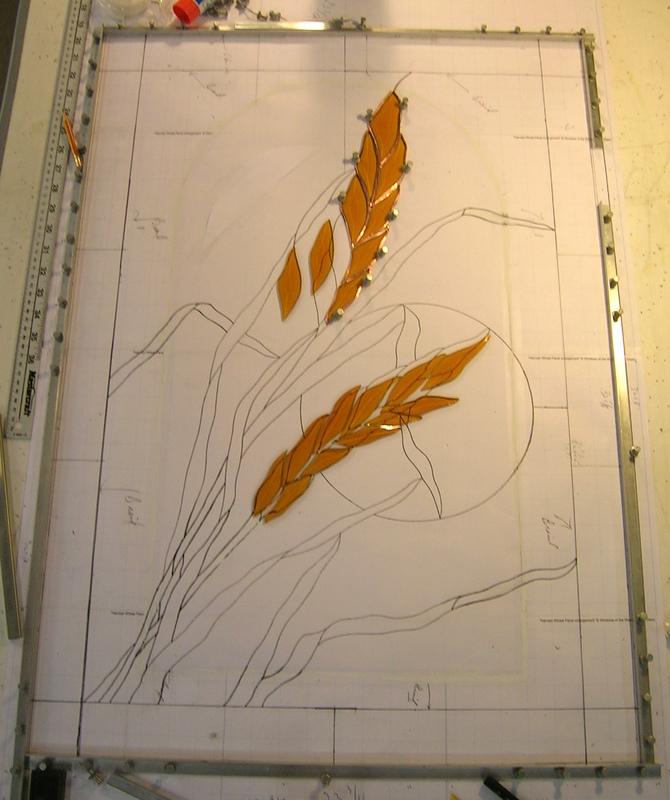 This is the first picture of the construction process. 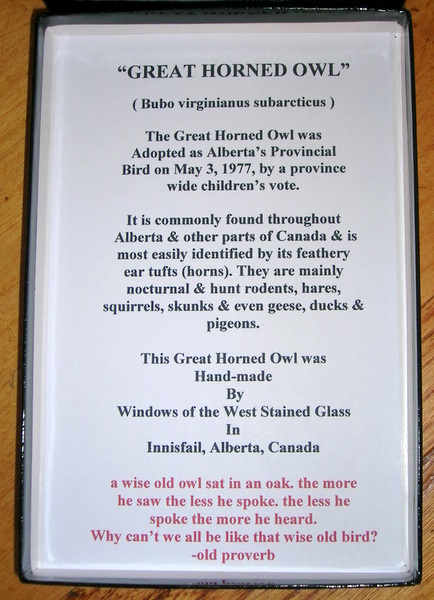 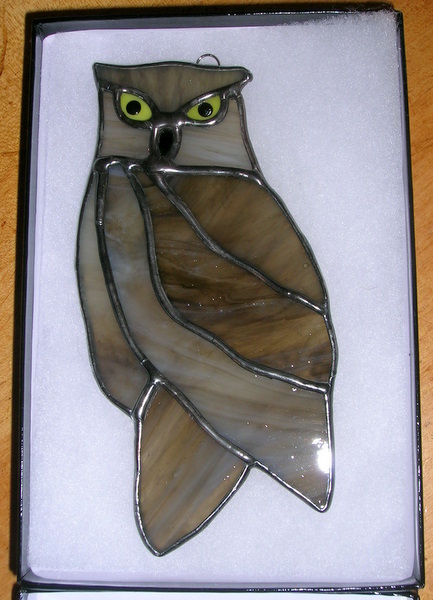 The Great Horned Owl was adopted as Alberta’s Provincial Bird on May 3, 1977, by a Province wide children’s vote. 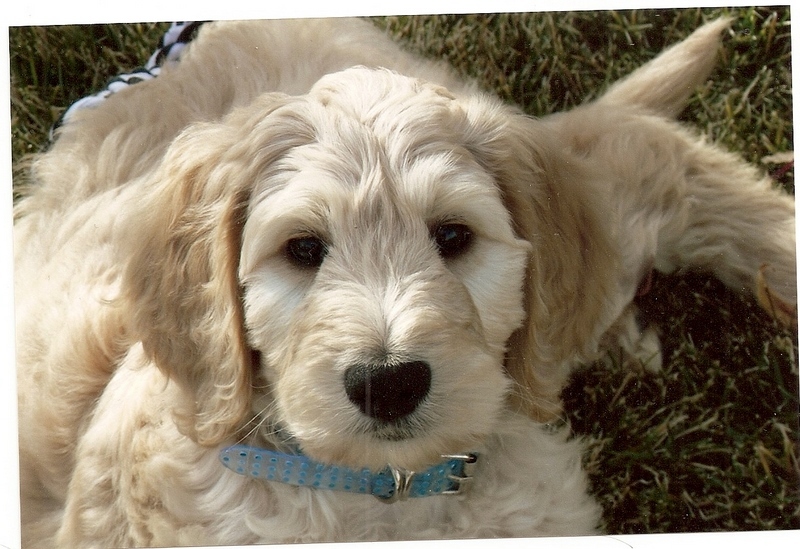 Cooper is a Golden Doodle Dog. 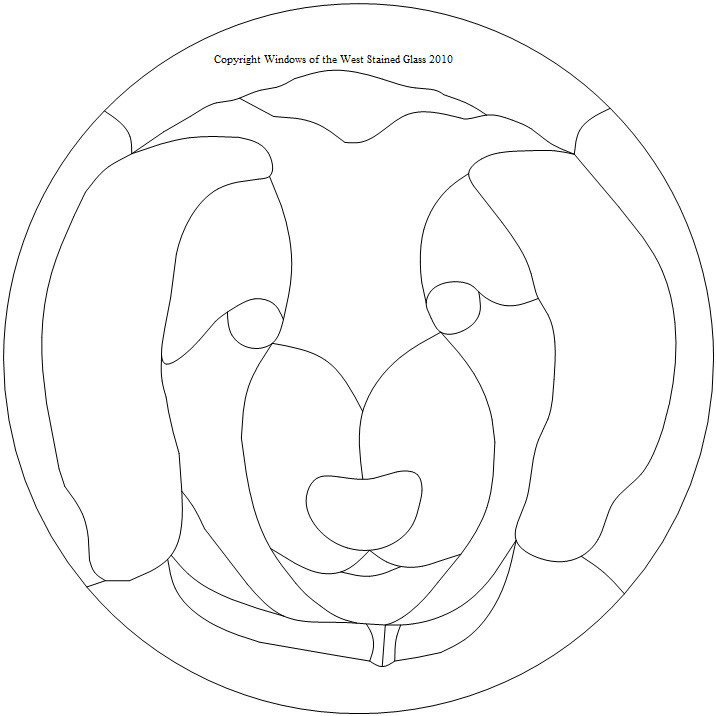 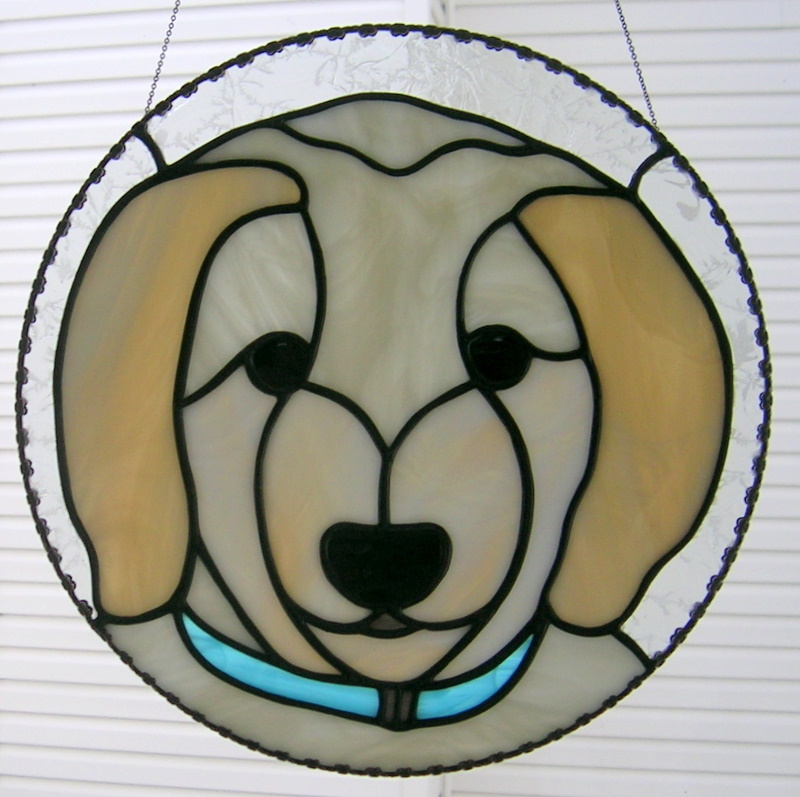 The circular panel head shot of Cooper is 10 inches in diameter. 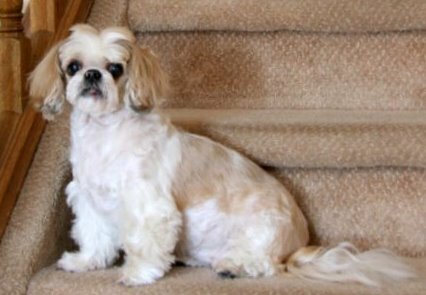 Misha is a Schitzu. 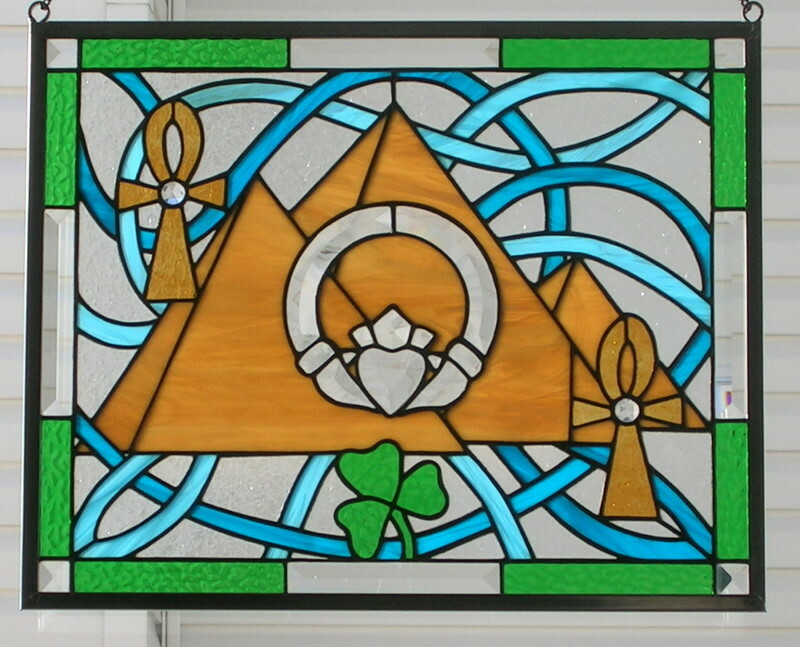 Our client wanted this smaller panel made for a friend in memory of Misha.